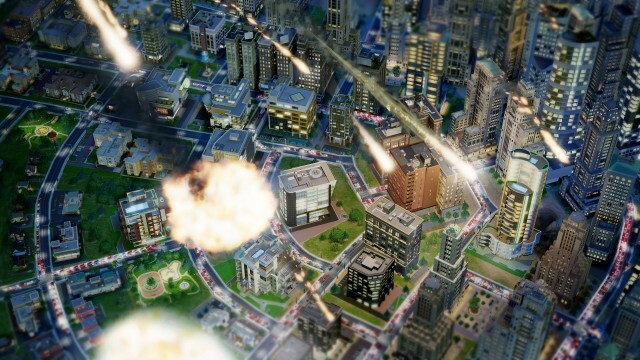 EA have announced the first expansion pack for their SimCity game called Cities of Tomorrow. This is the first expansion pack to be released since the infamous difficult launches plagued both the PC and Mac versions of the simulation game. Cities of Tomorrow is designed to take place 50 years in the future, adding new technologies and experimental urban planning techniques for futuristic world-building capabilities. “Will the world of tomorrow be a utopia powered by clean energy or an industrial society consumed by mass commercialism?” said Patrick Buechner, General Manager, Maxis Emeryville. Cities of Tomorrow will being new regions, technology, city specialization, and transportation methods to both the PC and Mac versions of the game. Cities will apparently be able to be built vertically using MegaTowers, and an all new disaster is exclusive to this Cities of Tomorrow expansion pack. Cities of Tomorrow is due to be released for Mac and Pc on November 12th. EA are set to release a charity set available for immediate purchase priced at $9.99. TheSimCityAmerican Red Cross Disaster Relief Setfeatures a Red Cross Relief Center, Red Cross Tents, and Red Cross vehicles that will help citizens during disasters. 80% of the purchase price of the set goes directly to the Red Cross. Actual pricing for the Cities of Tomorrow expansion pack for SimCity is not yet available, but it shouldn’t be too long before the price is announced.